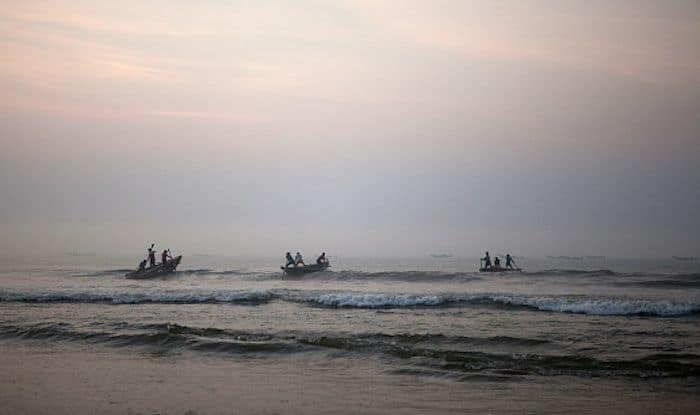 Now that summer is here, an evening at these beaches in Odisha can be quite relaxing. Lying on the eastern peninsular region of India, Odisha covers about 450km of the country’s coastline. Sharing its sandy shores with the Bay of Bengal, Odisha is home to some of the most untouched beaches of the country. The silver sand, azure blue skies, an array of the coconut and the palm trees and the clear waters make the beaches here worth a visit. The famous ones such as the Puri and Konark beaches can be given a miss for the quieter ones. These are the ones you must visit. Pati Sonepur is a delightful place for a peaceful evening, courtesy its raw and unexplored coastal front. Lying at the confluence of Bay of Bengal and Bahuda river, this one’s a hidden gem providing all the solace in the world for people looking to spending some quality time with their loved ones. The scintillating blue water of this beach is an amalgamation of two water bodies: Mahanadi and Bay of Bengal. The shimmering golden sands of the beach make it a haven for nature lovers. You can couple your visit to the beach with Biju Minar, a grand pillar built in honour of the former Chief Minister Biju Patnaik. Asta Ranga literally translates into ‘the colours of the setting sun’ in the local language. The beach lives up to its name; the colours in the horizon during sunset are absolutely stunning. The different shades of yellow, orange and red splashing the whole sky is sure to give the photographer an Insta-worthy picture. Balaramgadi beach is about 3km from the well-known Chandipur beach and is at the meeting point of Budhabalanga river and the Bay of Bengal. This one’s an unbelievable quiet beach; the only sound you can hear is the sound of the waves crashing on the shore. You can also see some locals indulging in activities like fishing and boating here.